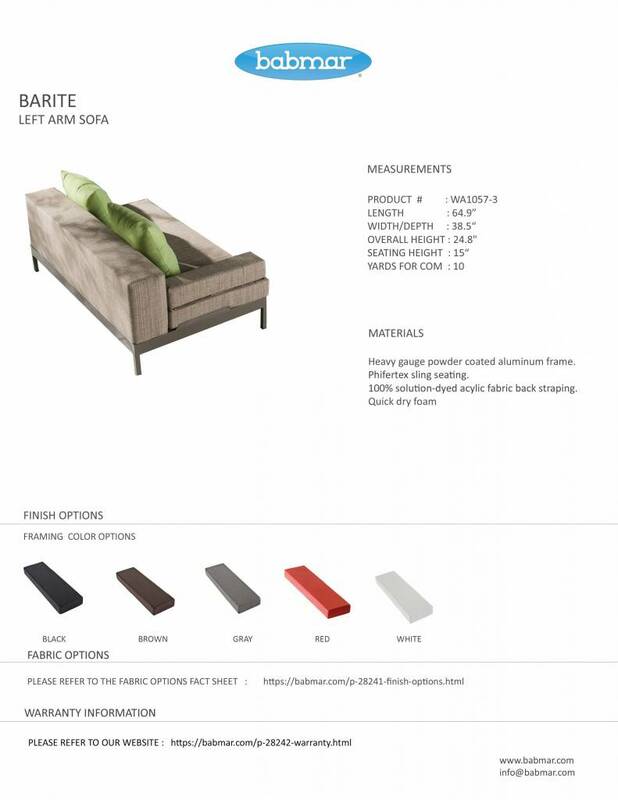 Serene Mediterranean influences are apparent in the simple yet attractive presentation of the Barite Left Arm sofa. Babmar's Barite Left Arm sofa is a breathtaking piece of unmatched craftsmanship and artistry. The collection brings elegance to modernism with a heavy-gauge aluminum design that is powder coated to perfection. 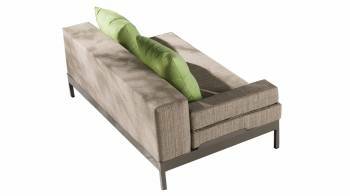 You can choose the number of throw pillows you want with this sofa. The throw pillows are accompanied by covers. This sofa has been built to withstand the trials and tests of time.